#2,438 Rest + Ouida Progress. – Laurel Mercantile Co.
Now reading: #2,438 Rest + Ouida Progress. #2,438 Rest + Ouida Progress. I was very lucky that I got to rest almost all day today since we didn’t start filming any of my scenes until 3:00 this afternoon. My head feels like it could crack open with sinus pressure from this cold, so a morning on the couch was absolutely wonderful. 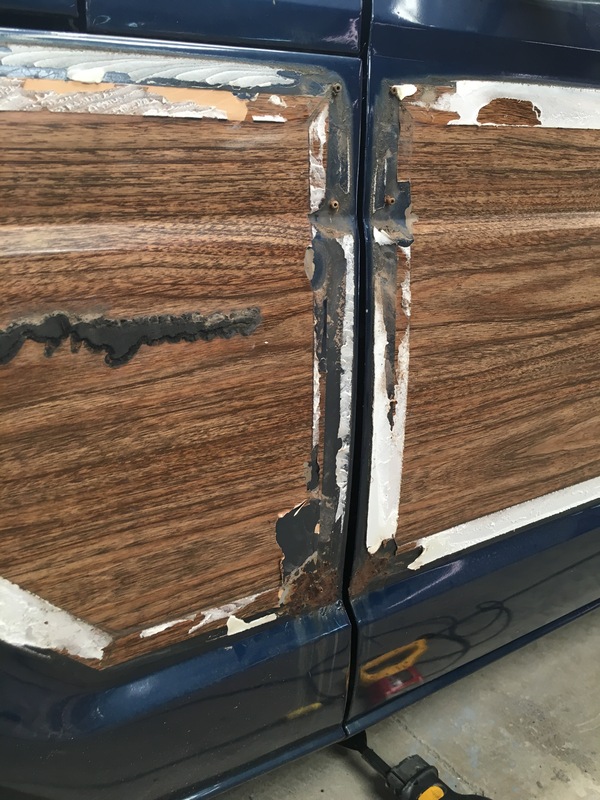 I did get up for a little while to check on progress with my car at Roy Rogers Body Shop where they started removing the wood grain and trim to start the exterior restoration process. I can’t wait to share the short video about the whole story in a couple months! #2,437 Reveal Mae + Sick Soup.